State House has in the last two weeks released K2.4 billion to destabilise two opposition political parties namely MMD and UPND a source within State House has disclosed. The source said the recipients of the money are Catherine Namugala of MMD who has received K250million, Felix Mutati K250million, Sunday Chanda who was Mutati’s campaign manager K100 million a Mr. Benard Mpundu K150million in order to collect signatures from MMD members in all the ten provinces to petition the resignation of Dr. Nevers Mumba as MMD President. The source said for the UPND assignment, Mr Oppa Hamiyanze has been given K250 million to travel to Southern Province to parade fake UPND members on Radio Sky calling for the removal of Hakainde Hichilema as UPND President. Mr. Brian Manenga has been given K250 million to generate calls for replacement of Hakainde as UPND president with Mazabuka MP Garry Nkombo. A group of fake UPND cadres from some constituencies in Southern province is expected to start the call. But Nkombo is a strong and dedicated supporter of UPND leader Hakainde Hichilema and has no intentions of ever being party president. The idea to drag his name is the work of State House to try and drive a hammock between him and HH. Mr. Trywell Mwenda former candidate for Chikakanta constituency under MMD, who joined PF soon after losing, has also been given K250 million for the same assignment. Daniel Munkombwe K100 million since he has already been given a Mitsubishi Pajero from State House reg no ABX 3848. 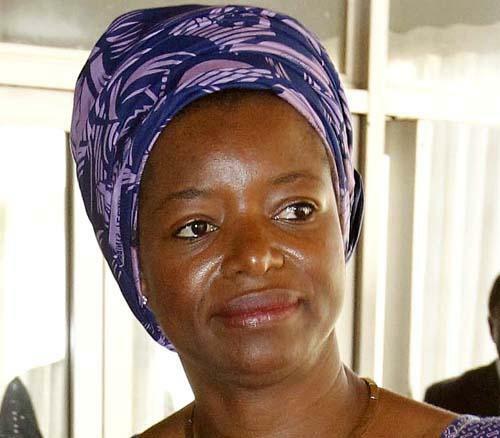 Justice Permanent Secretary Joseph Akafumba has been given K50million and a Mrs Annie Nyirenda Tischer a Livingstone business lady who runs the Mukamba Restaurant and Bar K100million. The rest of the money will go towards purchasing of airspace on selected popular community radio stations in the various parts of the country. Catherine Namugala collected the money on behalf of Felix Mutati. Oppah Hamiyanze collected the money for Manenga while a Mr. Kebby Mbewe of Choma owner of Leons Lodge collected for Daniel Munkombwe. Hamiyanze is supposed to travel to Southern province on Thursday to organise the fake calls. Musician Edify Hamukale is part of the people working with Hamiyanze. The PF is determined to push ahead this operation and will do naything to break anyone who stands in the way. To show the extent of resolve by the PF and State House in particular, MMD leader Nevers Mumba has already been arrested and charged for saying the he will reveal the names of the people who have been paid to destabilise the opposition.